Prior to his appointment, he was the Senior Special Assistant to the President on Power Privatisation in the Office of the Vice President of the Federal Republic of Nigeria. He was also the Acting Head of the Advisory Power Team in the Office of the Vice President. Chiedu is an electric energy law specialist. He qualified as a lawyer over 26 years ago and possesses an extensive experience in electricity industry reform, power project documentation and privatisation. 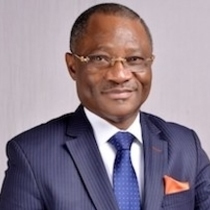 He served as an embedded legal consultant to the Bureau of Public Enterprises (BPE) where he assisted actively in electric power reforms and in negotiating and concluding several successful privatisation transactions. He also acted as a counsel in the transaction advisory team to BPE where he actively participated in and coordinated the legal work stream for the privatisation of 20 successor electricity companies created out of the erstwhile utility in Nigeria - Power Holding Company of Nigeria Limited. He also acted in the corporate restructuring of Niger Delta Power Holding Company Ltd and the privatisation of the electric power plants and assets held by the company. 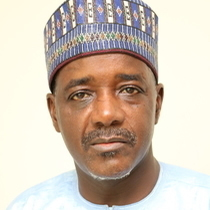 Prior to joining the Presidency, he was engaged under the USAID Power Africa Transaction and Reform Program (PATRP) as an embedded adviser to Nigerian Bulk Electricity Trading Plc (NBET) providing legal support on electric power contracts including power purchase agreements for different fuel sources and the related credit support documentation. Chiedu holds a Bachelor of Laws (LL.B.) degree and a Master of Laws degree both from University of Lagos, Akoka, Lagos. He also holds a Diploma in International Legal Practice from The College of Law of England and Wales; a Certificate in Electricity Industry Restructuring from Canadian Energy Research Institute, Calgary, Canada and a professional certification as Certified Regulation Specialist, from Institute for Public-Private Partnerships, Washington D.C., USA in conjunction with WEDC, Loughborough University UK. Chiedu is married with children. Engr. IfeOluwa Oyedele, Executive Director (Engineering and Technical Services), Niger Delta Power Holding Company Limited. IfeOluwa's career spans engineering management, manufacturing, construction, venturing, governance and engineering consulting from 1982 till date, Oyedele has worked in both the public and private sectors. He started his career with DAFEC Consultants as an engineer whose responsibility was to design and prepare tenders for rural electrification projects as well as supervising and monitoring the implementation of the projects. He proceeded to Oyo State Ministry of Works and Transport where he served for two years with similar responsibilities as his previous job. He headed the sales department of Dynapower Nigeria Limited for the next two years after which he consulted for Edison Group and Partners where he designed electrical engineering projects and services per clients' briefs and terms and also supervised project executions. Engr. Oyedele's innovative and leadership skills later saw him serve in a number of executive capacities in some bluechip companies carrying out cutting edge businesses in Nigeria between 1987 and 1991. As Executive Director/Chief Operating Officer, Oyedele set the companies business and strategic agenda, negotiated contracts and ensured quality and standard of jobs are maintained. Engr. IfeOluwa Oyedele is successful entrepreneur, a fearless yet sound politician, graduated with a Bachelor of Science degree, Electrical Engineering from the University of Lagos in 1982. He is a member, Nigerian Society of Engineers and Institute of Directors. He is married with 7 children. Mr. Babayo Shehu, Executive Director (Finance & Administration), Niger Delta Power Holding Company Limited. Babayo Shehu, FCCA, FCA, FCIT, has had professional experiences and expertise spanning over three decades, in Public Service and Banking. Mr. Shehu served in several committees and boards and had successfully led teams that implemented processes and delivered solutions that significantly impacted and influenced the accounting practice in the country. He has also participated in several management trainings from reputable academic institutions around the world across financial and organizational management, process control, policy management and implementation among others. He is recognised with several awards and merits for his insightful contributions and service to the profession. He started his professional career in 1981 with Bauchi State Development Board where he ended up as the head of the Finance and Accounts Department. He proceeded to the Banking sector and was in FBN( Merchant Bankers) Limited from 1990 to 2003 where he headed the Finance & Administration, Operations and Treasury Departments at various times. He ended his Banking career as the General Manager/Head of Enterprise Risk Management Department. 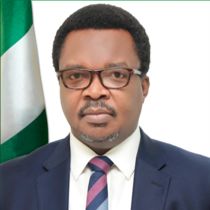 He moved on to serve in the pool of Accountants in the Office of the Accountant- General of the Federation(OAGF) where he rose to the position of Director. He held the position of Director (Funds) in the OAGF and Director (Finance & Accounts) in the Federal Ministry of Defence from where he retired in December 2014. Babayo Shehu is a first class honors Bachelor of Science degree graduate of Accounting from the Ahmadu Bello University, Zaria in June 1980. He also attended the London School of Accountancy and Slough College of Higher Education, where he Qualified as a Chartered Accountant. He is a fellow of the Association of Chartered and Certified Accountants UK, Fellow of the Institute of Chartered Accountants of Nigeria and a Fellow of the Chartered Institute of Taxation of Nigeria. Mr. Babayo Shehu is a native of Misau in Bauchi State and is happily married with children.